I am a travelista. I travel a fair amount for work but mostly for pleasure, across the country and beyond to locales such as Rome, Athens, Dubai, Madrid and Zurich, just to name a few. 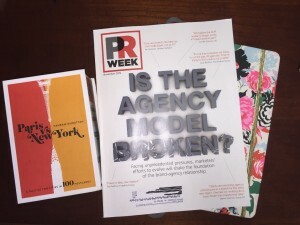 I love talking travel and I was recently honored to participate in PR Week’s roundtable on travel and tourism. In the November issue, the roundtable explored topics on how destinations can create welcoming environments for folks looking to explore different sites and cities. The panel was made up of U.S.-based destinations including Brand USA CEO Chris Thompson, who talked about the challenges and unfriendly reputation the United States deals with in attracting international visitors. To combat this perception, the panelists agreed the power and influence of good storytelling is key to attracting tourists to their destinations. Whether the allure of a historical Southern city like Savannah, Georgia or the non-stop party culture of Las Vegas, each marketer is charged with appealing to the heart of what travelers want to spend their hard-earned time off and dollars on. This is even more critical for multicultural travelers. As I mentioned during the panel, Nielsen’s latest report on African American consumers revealed that loyalty and brand affinity are very high in this demographic. They will pay more to travel on an airline or stay at a hotel that treats them the right way. This is critical for travel and tourism marketers to understand – What will appeal to every possible audience with whom you wish to engage? As an avid traveler myself, this statement certainly rings true. And as a member of several airline, hotel and rental car loyalty programs, the key to winning my repeat business and my all-important word of mouth endorsement is creating an incredible travel experience. How do you think destinations should target travelers? What are some recent good examples from brands that appealed to your wanderlust? Share your examples using #exploreFCG or tweet me @ccsteed.